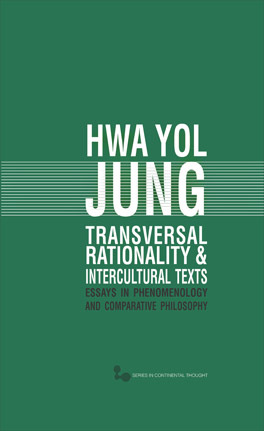 The winner of the 2012 Edwin Ballard Prize is Hwa Jol Jung’s Transversal Rationality and Intercultural Texts – Essays in Phenomenology and Comparative Philosophy (Ohio University Press 2011). This book is an astonishing collection of essays spanning over forty years of sustained and developed reflection on topics in phenomenological, comparative, and environmental thought. The author’s erudition is dazzling. The essays are original, far-reaching, and at times visionary. Like no other, Jung bridges the gaps between Asian and Western culture. Hwa Jol Jung has spent a lifetime mediating between German and French phenomenology and existentialism (especially Heidegger and Merleau-Ponty) in an intellectual dialogue with Asian thinking (especially Confucianism). He advances an interesting conception of “transverality” that is at the heart of this book that well deserves the recognition as an outstanding new book in phenomenology consistent with the aims of the Ballard Prize. Visit the page for Jung’s book at Ohio University Press.